Welcome to Berea "Madison County" Kentucky ! 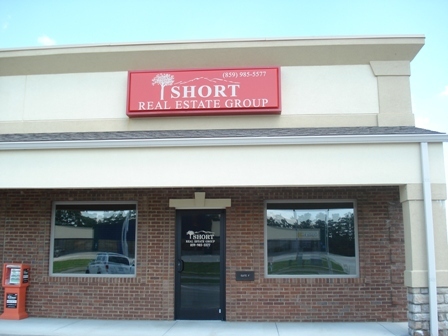 Short Real Estate Group is a full service real estate agency that you can trust to find the perfect home, commercial property or investment property for you. We are members of the Berea Chamber of Commerce and the Madison County Board of Realtors.We have access and can market or sell any listed property through the internet with the Madison County and Fayette County multiple listing service. If you are interested in buying or selling a house, home, residential lot, commercial property, apartment, duplex, investment property, land or farm in Berea, Richmond or the Madison County area give us a call, send us an email or stop buy our office at 208 Pauline Drive Suite F, Berea Kentucky.